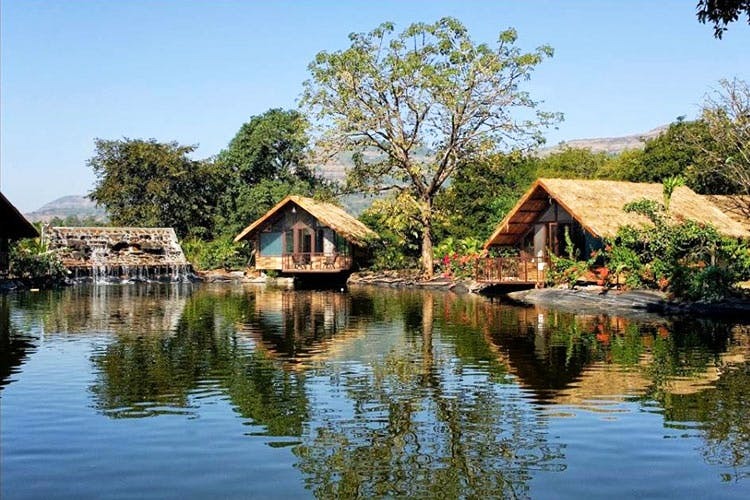 A serene escape in the woods, Jalshrushti Island Resort in Mulshi is what weekend dreams are made of. The resort has cottages and rooms with wood interiors that look out to either a pond or a lake. Imagine waking up to a pond of lotuses instead of a traffic snarl from Andheri to Worli. The resort is tucked away in la la land where there is no boss to tell you about deadlines and no friends inviting you for a rager. The peace comes with a price though, you’ll get to experience all of this for INR 12,000 onward per couple. The cost includes all meals and stay. If you are three people staying in one room, you’ll have to shell out about INR 15,000. Come to think of it, not a bad deal for the experience. They have a swimming pool, a restaurant and a bar on the premises. In case you want to do BYOB, you’ll have to bear corkage charges. Romantics, they can also arrange for a candlelight dinner. The resort is located about 44kms from Pune and 170 kms from Mumbai. Don't forget your clothes, chargers and the drive to calm down in life for a weekend.